Princess Cruises has announced a range of new Alaska-based shore excursions and themed onboard activities to mark 2019 as its 50th year sailing to the region. Seven Princess ships will sail in Alaska from May to September this year, the largest deployment in the line’s history. 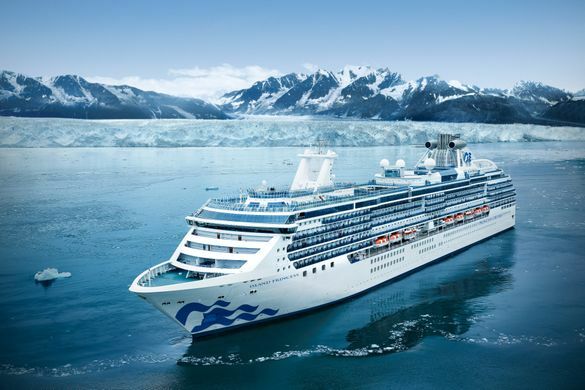 The 2019 programme will see the 3,560-guest Royal Princess make her inaugural visit to Alaska and mark the first time a Princess Medallion-activated ship has sailed the region. The ship will join Ruby Princess, Coral Princess, Island Princess, Star Princess, Golden Princess and Grand Princess, with departures offered from Vancouver, Anchorage, Seattle, San Francisco and Los Angeles. Tony Roberts, vice president Princess Cruises UK and Europe, said: “Throughout the 50 years Princess has sailed in Alaska we have taken more guests to the region than any other cruise line. With seven ships visiting this year alone we are keen to bring new and engaging experiences both ashore and onboard.